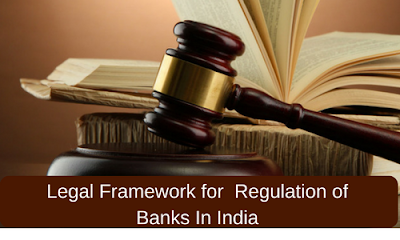 What is the significance of Banking Regulation Act 1949 and RBI Act 1934? BR Act 1949 provides a legal framework to regulate and supervise the banking activities. It acts as an instruction manual, guiding the banks what to do and what not. RBI Act 1934 empowers RBI to be a guardian of all the banks, issue currency notes and maintain the financial and economic stability of the country. What are the main functions a bank can do? Borrowing and lending money i.e. loans and advances with or without security as well as negotiating them. LETTER OF CREDIT: It is a letter that guarantees that the buyer will make payment to the seller of goods on time. Bank requires collateral for issuing it as if buyer defaults, bank will have to pay the amount. It is a useful instrument in international trade. PROMISSORY NOTE: It is a financial instrument containing a written promise to pay the particular amount on demand or on at some specified future date. BILL OF EXCHANGE: It includes 3 party; the Drawer, the Drawee and the Payee. Here, Drawer directs the drawee to pay a specific amount to the third party I.e. the Payee either on demand or at some future point of time. Difference between loans and advance: Loan is a fund borrowed by one entity from other, usually for long term, carrying interest rate. While Advance is a kind of credit facility provided by bank for a specific purpose, usually for shorter duration. Granting or issuing letter of credit; dealing in promissory notes, bills of exchange, coupons, foreign exchange, bullion/species etc. Dealing in stocks, shares, debentures, bonds and securities. Providing a vault where valuable thing can be safely deposited. It can carry on any agency business and can act as an agent to the government, local authority or person. Carry out guarantee and Indemnity business and transact in them. It can either itself establish or can provide aid to the charitable trusts, associations, funds etc. It can indulge in lawful activities for promotion and advancement of business. What business activities a bank can’t conduct? It can’t directly or indirectly get involved in buying or selling or bartering of goods i.e. movable property other than stocks, shares, securities, claims etc. No bank can hold an immovable property for more than 7 years except that which is required for its own use. It can’t be managed by any managing agent; or a person having a criminal record or bad credit history can’t be employed by the bank. How much paid up capital and reserves are required for conducting banking business? 25,000. Overall limit 5 lakh. Every bank is required to transfer a sum not less than 20% of its net profit in reserve fund for meeting the unexpected costs that may arise in future. Every banking company is required to maintain a sum equivalent to some percent of total demand and time liabilities with itself (called SLR, Statutory Liquidity Ratio) and with the Reserve bank ( called CRR, Cash Reserve Ratio) to control the liquidity and credit growth in the economy. What are the conditions for private bank for commencement of business in India? Initial minimum paid-up capital for a private bank is 200 crore which need to be raised to 300 crore within 3 years. The promoter needs to contribute at least 40% paid-up capital which will be locked for 5 years. All Deposit accounts which have not been operated for 10 years or more are called unclaimed accounts. Is BR Act 1949 applicable to co-operative society? BR Act 1949 is applicable to State/ Central/ Primary co-operative society involved in banking business with capital and reserves not less than 1 lakh. It is not applicable to primary agricultural credit society and cooperative land mortgage bank. DICGC (Deposit Insurance and Credit Guarantee Corporation) was established on 15 July 1978 under DICGC Act 1981 to provide insurance cover to the bank customers for the money deposited in the bank. It insures a maximum amount of 1 lakh for both principal and interest amount. Insured banks need to pay insurance premium for this. What are Small Finance banks and Payment banks? They are licensed under section 22 of BR Act 1949. Their objective is to increase financial inclusion by providing banking facility to unorganized sector, small farmers, micro and small industries etc. India’s first payment bank is Airtel Payment bank and it starts its banking operations in Rajasthan with interest rate of 7.25%. India’s first small finance bank was Capital Small Finance bank ltd with headquarter at Punjab. What are RBI guidelines for Payment bank? Any prepaid instrument issuer, supermarket chains, NBFC’s, Telecom Company, corporates with minimum paid-up capital of Rs 100 crore can apply for payment bank license. They can open current / saving account, issue ATM cards; can cross sell insurance, mutual funds etc. but can’t issue credit card or sanction loans. Initially they can deposit Rs. 1 lakh per customer. They need to invest 75% of demand deposit amount in government securities and Treasury bills; and meet CRR and SLR requirement. What are RBI guidelines for Small Finance banks? Any professional with 10 years of experience in the field of banking and finance with minimum paid-up equity capital of Rs. 100 crore cn apply for its license. RBI and their scope of activities may be liberalized. Maximum loan size and investment limit is 15% of capital funds. Out of these 75% should be to the priority sector and upto 25 lakh to microfinance businesses. They also need to maintain CRR and SLR. RBI was established on 1 April 1935 under RBI Act 1934. Initially it was privately owned but in 1949 it was nationalised and now it is completely owned by government of India. Paid-up capital is Rs. 5 crore. Bankers to banker and government. Issue currency notes and coins. Maintain foreign currency market in India. 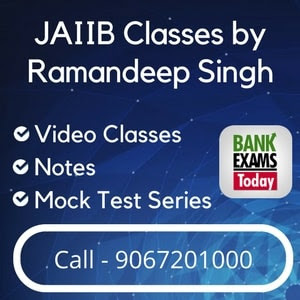 Regulates financial and monetary policy of India. What is the maximum denomination of notes and coins RBI can print? Maximum 10,000 rupee note can be printed while coin of 1000 denomination can be minted. In 1938, India was printing 10,000 denomination banknotes but they were demonetized in 1946 to curn unaccounted money. What is legal tender note? Denomination of a country's currency that must be accepted as a medium of exchange and payment is called legal tender. Example: Rs 500 and 1000 are no longer legal tender. Scheduled banks are those included in 2nd schedule of RBI Act 1934 with reserves and paid-up capital not less than Rs. 5 lakh. Discuss about Monetary Policy Committee (MPC). MPC shall conduct at least 4 meetings in a year and should publish monetary policy report once in every 6 months. Main aim of MPC is regulating inflation thereby maintaining price stability. Discuss legal framework for regulation of Regional Rural Bank (RRB). The first RRB, Prathama bank came into existence on 2nd October 1975 at Moradabad and is sponsored by Syndicate bank.